Tackle the slopes and hills around the 200 acres of orchards, woods and fields that the centre has to offer. 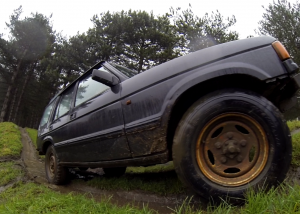 With One-to-One expert tuition you will learn the basic Off-Road driving techniques. Experience one-to-one tuition from a professional instructor as you drive an incredible 4x4 vehicle across 200 acres of tough terrain! 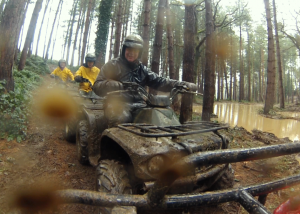 You will be driving through fields, woodland and orchards learning how to overcome the challenges of the slopes and muddy mounds. Braking and clutch control is quite the opposite of on-road driving so take the controls, listen to expert advice and feel the adrenaline pump as you battle your way across the tricky track which will challenge even the most experienced driver.Once you have arrived and been welcomed to the centre your day will begin with a safety briefing and theory session in the classroom. Your instructor will teach you all that you need to know about 4x4 and Off Road driving. 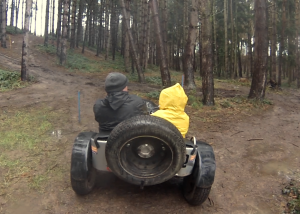 Following the safety briefing, your instructor will give you One-to-One tuition on the demanding course of steep slopes and woodland track. Participants: The Introduction to 4x4 Driving- Exclusive Half Day is for 1 participant. Spectators are welcome. However viewing may be limited for certain activities. There is a pleasant indoor meeting space where refreshments are available. This experience is not generally affected by extreme weather conditions. However, if in doubt please contact the centre directly. Can I drive the Land Rover Defender? On the experience you will get to drive the Land Rover Discovery rather than the Defender.